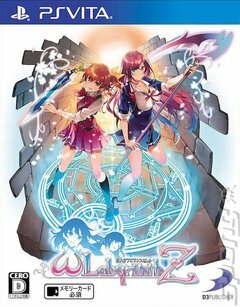 Omega Labyrinth Z is the most tantalizing rogue-like RPG of 2018. Battle through challenging dungeons that feature ever-changing maps, monsters and loot, as you pursue your quest for the Holy Grail, a magical object that will let the girls one true desire come to fruition. Rumours of an item referred to as the Grail of Beauty' are whispered through the hallowed halls of the storied educational institution of Embellir Girls Academy. The Grail can grant any wish, large or small, and as the tale goes, it is hidden in a secret cave that only reveals itself on opening day of the Academy each year. Aina Akemiya, a popular young student at the academy, is fed up with feeling self-conscious about her body, and so she sets out on a grand quest to obtain the Grail of Beauty! Tactical turn-based combat Control the battlefield with expert positioning and use of skills! Explore lengthy dungeons Randomly generated dungeons brimming with loot is yours for the taking! Item management made easy The Purse' system allows you to send items back to town if your inventory fills up in a dungeon. A shopaholics dream Purchase items with Omega Power, even the dungeons have shops! Breasts bursting with power Collect Omega power to grow your breasts! As your breasts grow, so does your characters power! Reach maximum boobage Grow to a Z-Cup in order to unleash the ultimate attack: Hyper Omega Slash! You deflate again after using it, so time it carefully! Level up your characters stats and skills Utilize the Faint?Awakening' system to improve characters by touching them until they scream with excitement! Transform crystals into items with the power of breasts The Oppai Appraisal' system lets you reveal the true nature of loot! Recover in the hot springs Get your power back in the dungeon hot springs and get to know the ladies of Omega Labyrinth Z better! Touch anywhere, anytime No matter where you are, in dungeons, dialogue screens or menu screens, touch the characters for unique reactions!